Indian cultural and sports community (ICSC ) Galway organised a great Diwali celebration in Leisureland salthill Galway on Saturday 10th Nov.
Series of traditional Indian folk dances, classical Music and authentic Indian food Dishes from various parts of India featured in the spectacular show attended by more than 300 community members from Indian as well as local communities in the presence of the mayor of the city of Galway Niall McNelis. 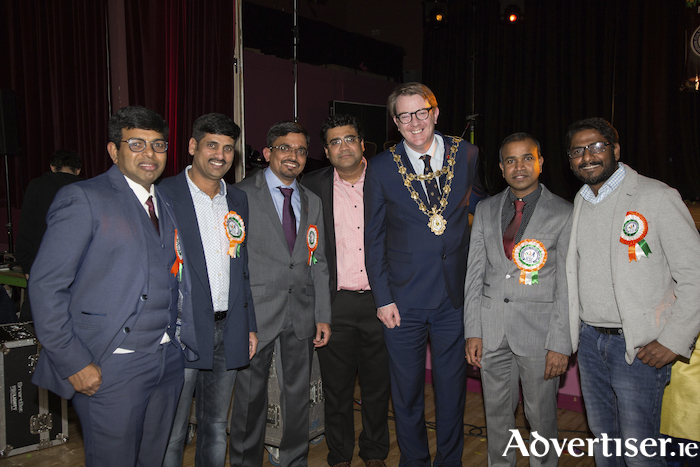 The mayor on the occasion in his speech emphasized the importance of Diversity in the society and contribution of professionals from India to the businesses in multicultural Galway city and Ireland as a whole. Page generated in 0.1705 seconds.